When Aspen Extreme was released in the early 1990's, not even the film's writer and director thought that over 25 years later, local theaters would sell out for annual screenings. But according to the Aspen Daily News, "the movie that was written and directed by former Aspenite Patrick Hasburgh has done just that." 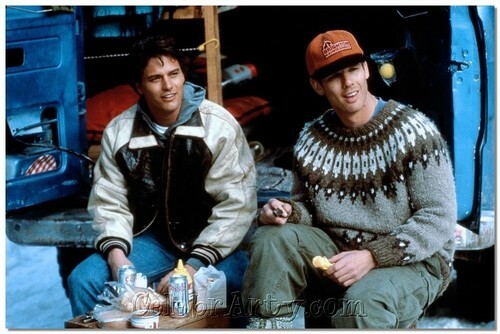 The film follows the exploits of buddies TJ Burke (Paul Gross) and Dexter Rutecki (Peter Berg) who leave their dead-end jobs in the auto industry in search of the ski-bum lifestyle. Set in the 1970s, which Hasburgh said was “a fabulous time, much simpler. I’ve never met anyone who wouldn’t want to go back,” the film was made in the early 1990s. “At the time, it was the perfect movie to capture all the aspects of Aspen,” said Roger Wilson, who plays a drug dealer named Jake in “Aspen Extreme.” His scenes were filmed at a bar in Basalt. Jean Robert, owner of the eponymous Aspen gym, also plays a bad guy in the film. The film's intentional and unintentional comedy and idealized vision of Aspen, not to mention the highly visible retro fashion make for an irresistible evening of entertainment for locals and visitors alike. Read more about the other locals with roles in the film and where the actors are today!